*Editor’s note: This is the old location. 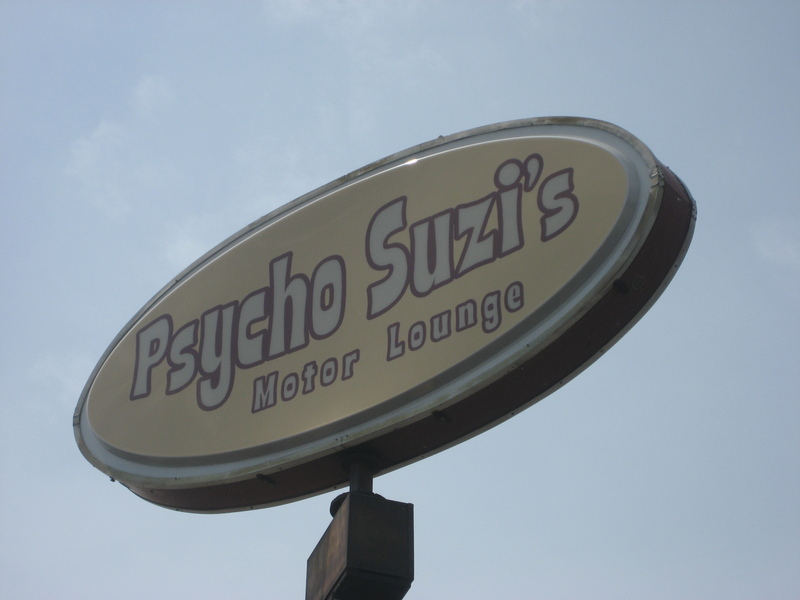 Check out my review of the new Psycho Suzi’s here. 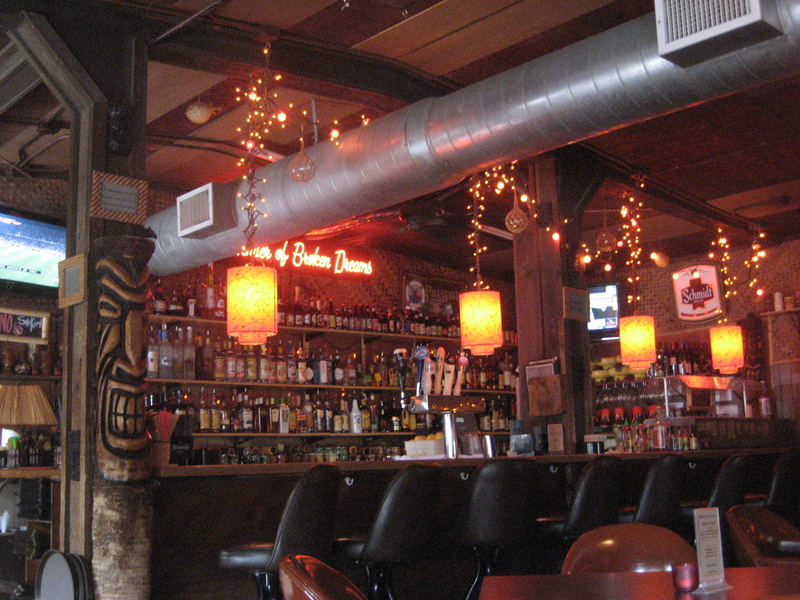 I knew that other tiki sighting in Minnesota would not be the last as I had penciled in a visit to Psycho Suzi’s Motor Lounge for when we headed back into the Twin Cities for our return flight. 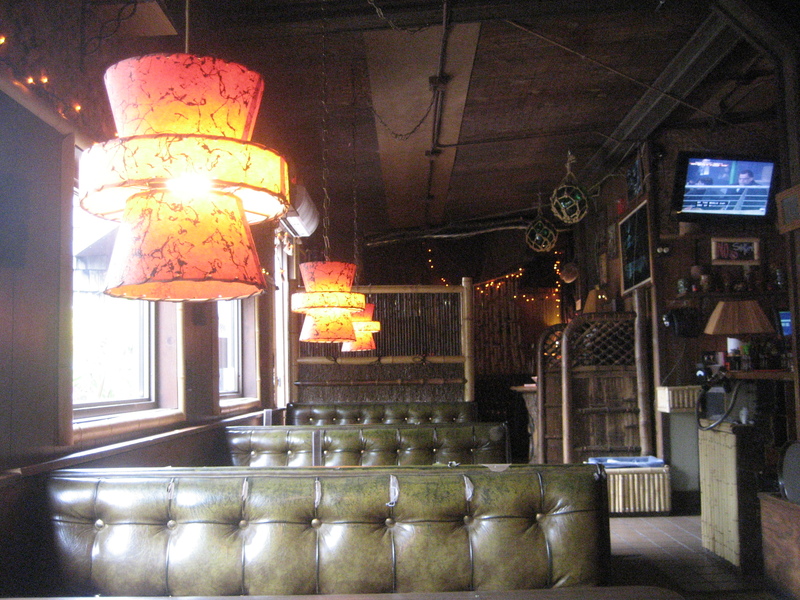 Psycho Suzi’s opened in 2003, but with its wood paneling, string lights and what looks like somebody’s personal stash of tiki mugs lining the walls, it reminds me of a circa-1970s rec room. 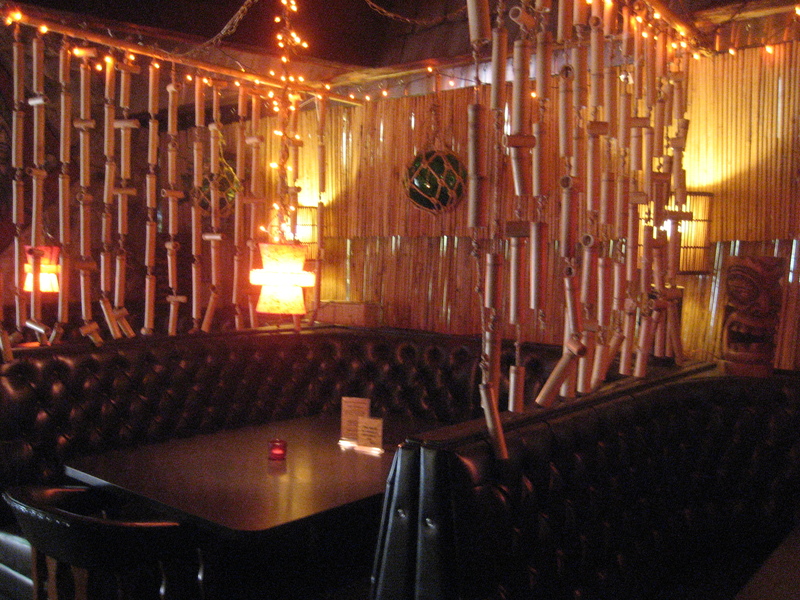 Tiki purists need not fret, though, as there’s plenty of bamboo, fish floats and framed Exotica album covers scattered around, too. Emblazoned on their logo t-shirts and behind the bar is the epithet for Don the Beachcomber’s most famous drink, The Zombie: “Mender of Broken Dreams.” Supposedly the scene gets more rowdy as the night wears on, but we were there for lunch on a beautiful day when most of the patrons chose to sit under thatch umbrellas out on the patio with the moais. Psycho Suzi’s offers about a half dozen generic tiki mugs that can be purchased upon ordering their coordinating cocktails, but this terrifying fellow is their special signature vessel from Tiki Farm. It contains “a 20 oz. 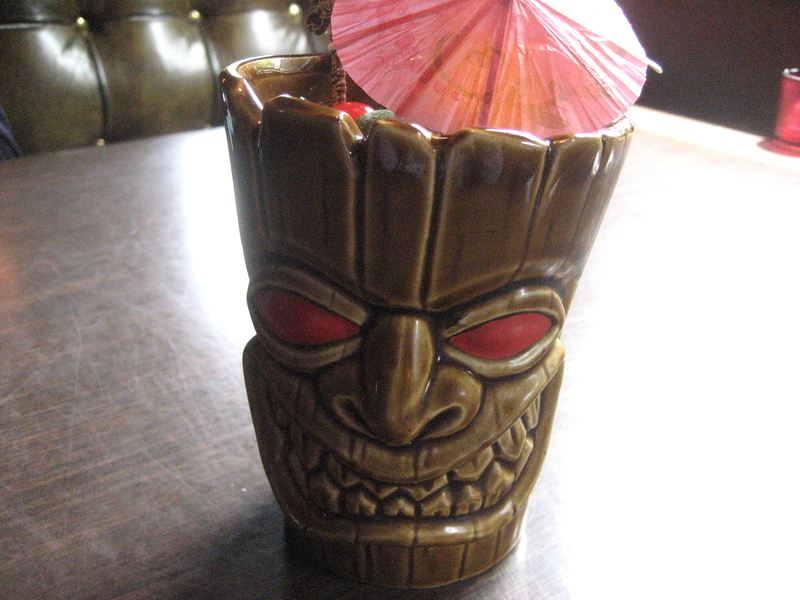 delirium of Redrum, secret syrup and a whole lime.” For another $7, the mug becomes a souvenir! 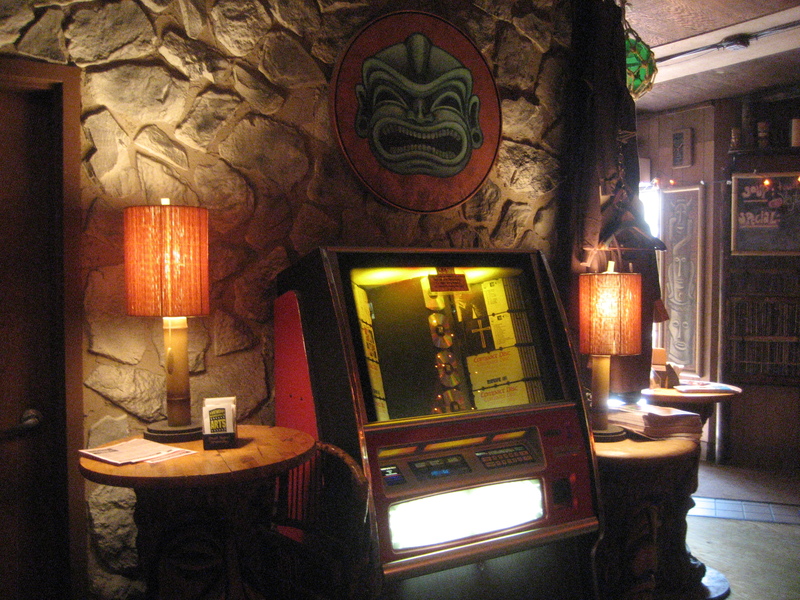 Whereas the fare at many tiki establishments skews toward highbrow (er, expensive, anyway) Chinese/Polynesian, the food here is unabashedly lowbrow American (but more importantly, tasty). 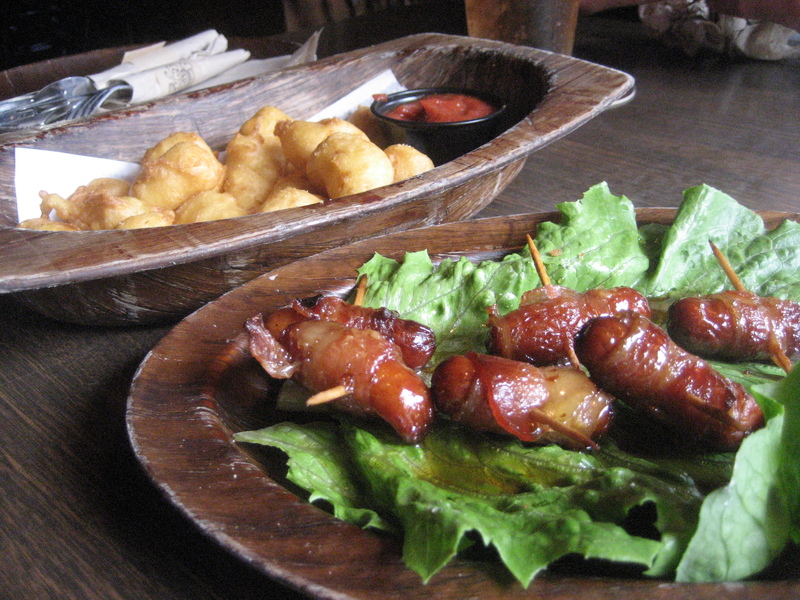 We loved the beer-battered Wisconsin cheese curds ($8) and bacon-wrapped cocktail weenies with bourbon-brown sugar glaze ($7.50). There’s a selection of salads and sandwiches, but their specialty is “World Famous Minneapolis Pizza” (hardy har). 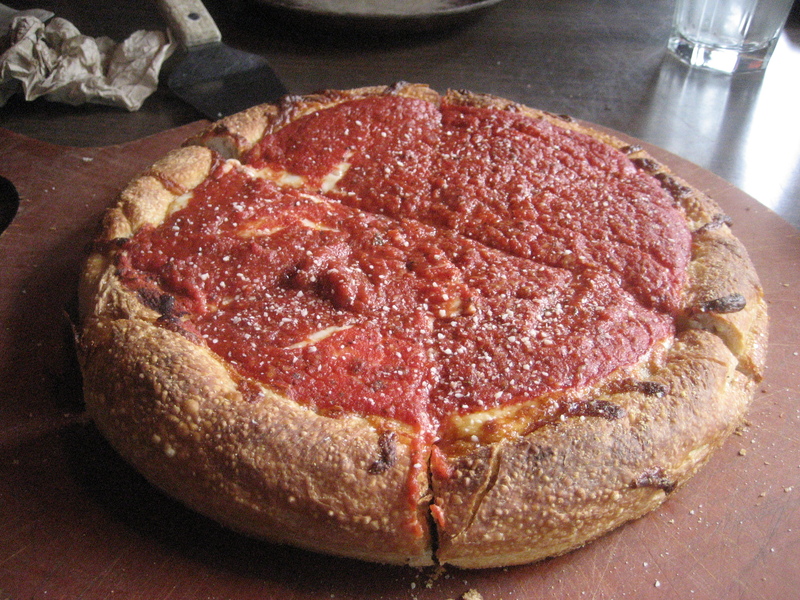 We ordered their deep dish cheese pie ($13) and judged it to be a good effort, considering that we (well, Mr. Hockey at least) are Chicago pizza snobs. 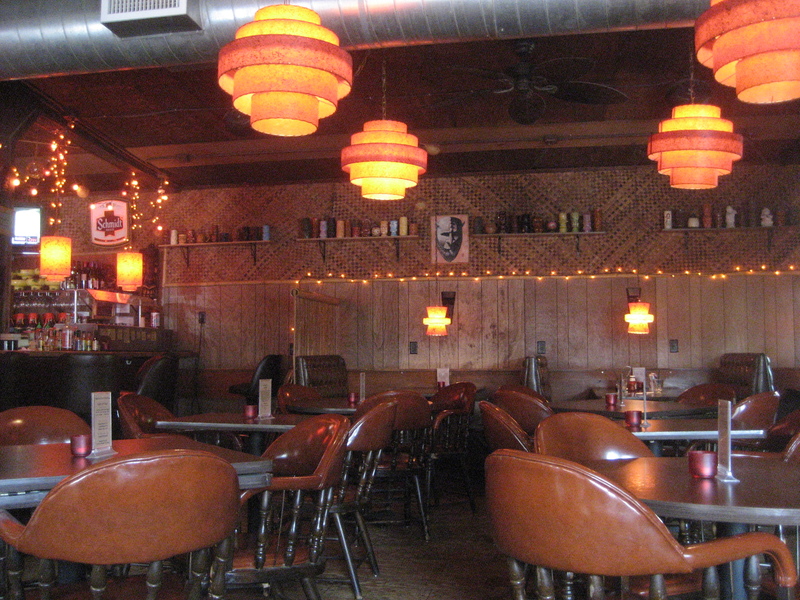 This “Motor Lounge” (the restaurant was converted from an A&W Drive-In with car hops and everything! I’m such a nerd for that stuff) was featured on an episode of that Food Network show “Diners, Drive-ins & Dives.” You can see the YouTube clip here. Deep fried cheese curds? Yes, please! Did they squeak? Amanda — Yes, so super psyched for that! It’s gonna be ridiculous.